Whenever I feel homesick, I veer towards this little bit of Finland in London. It's called Nordic Bakery and is tucked away behind Piccadilly on Golden Square in London. It was set up by a Finnish ice hockey player Jali Wahlsten in 2007 to be like any cafe across Scandinavia serving good coffee and cinnamon buns. 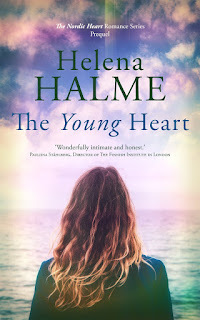 And that is exactly what his cafe has succeeded in doing: when sitting in this quiet oasis in the middle of bustling London, I could be in Helsinki, in the Fazer Cafe, having a mid-morning coffee. 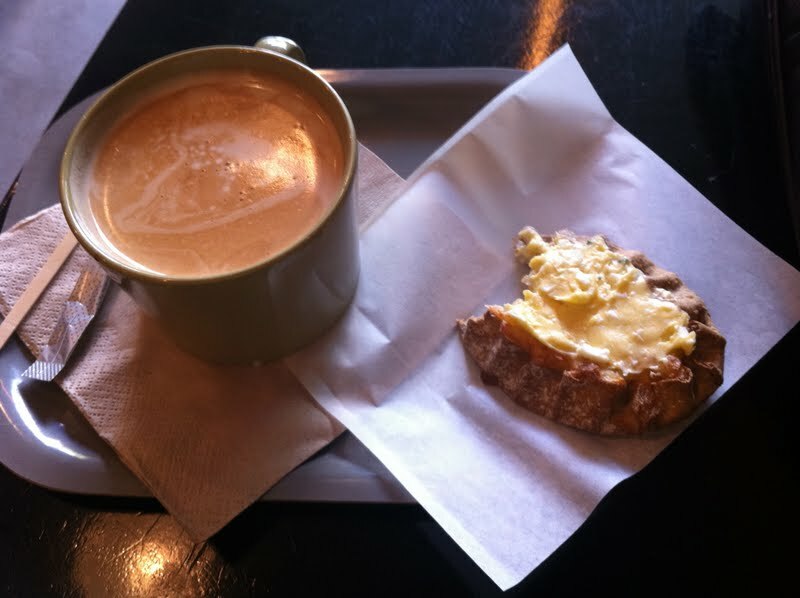 There are no gimmicks, no logos, just good coffee and delicious sandwiches or cakes. It's impossible to choose what to have. You can see why I don't go into the Nordic Bakery all the time - I'd be the size of a barrell if I ate this kind of fare every day. But for a treat, for a little slice of Finland in London, it's perfect. 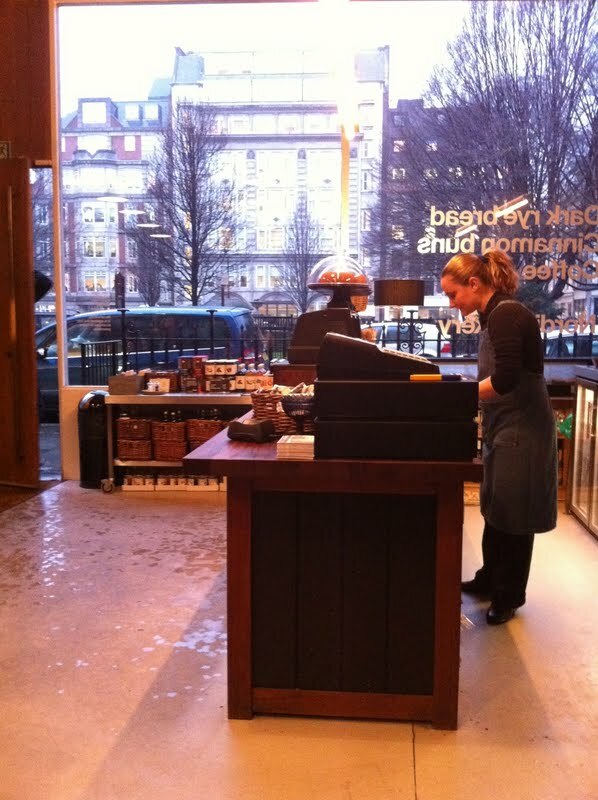 There is another Nordic Bakery in Marylebone and one is due to open in New York in 2011. 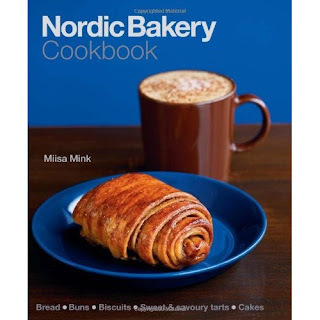 The Nordic Bakery Cookbook is also now out. There seems to be a great demand for Scandinavian cookery just now. Wonder if Mikael Blomberg's incessant coffee drinking in Stieg Larsson's hit Scandi crime novels has anything to do with it? me too me too! I'm just a Nordiphile so I'm pleased it gets your approval as a true person of the Nord. i actually lived on Golden Sq one summer for a couple of months (it's a long story) and I was in there all the time... I LOVE the rye sandwiches with prawn and egg, the coffees (so strong and detectivey yes!) and the Cinnamon buns so sticky your teeth get stuck together. They also sell rhubarb cordial... what's not to like? I think Nordic stuff is having a moment because it's kind of healthy decadent and also because we obsess about Europe but I think in a lot of ways we do better when we look north. OK, that's it. Next time I'm in London, that is going on my list FOR SURE. One question though. I never consider Finland "Scandinavia" I thought it technically wasn't? But you are Finnish so you'd know! I thought Scandinavia was Denmark, Sweden and Norway and Finland wasn't part of that. You're absolutely right - Finland is one of the Nordic Countries. Referring to Scandi food was a slip of the tongue...sometimes it feels a little like splitting hairs, Nordic versus Scandinavian, though! It looks wonderful. I shall bookmark that place so I can visit on my next trip to London. The perfect place when you feel home-sick and are craving rye bread, cinnamon buns and Geisha chocolate. That looks well worth a visit the next time I am in London. 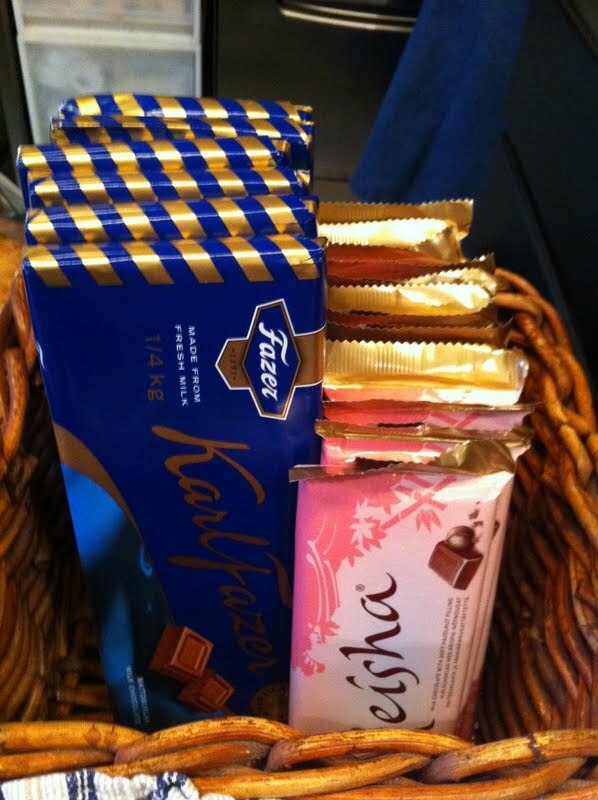 My brother in law is working in Finland at the moment and my sister brought me back some Fazer chocolate when she visited him. oh God, but that all looks SO tasty....*wanders off to eat a kitkat* no comparison with a blueberry pie, I suspect!